“Awake and strengthen what remains and is on the point of death” (Rev. 3:2)…Could it be that God was speaking [these words] to me right now, telling me that my life work was here behind the Iron Curtain, where His remnant Church was struggling for its life? Was I to have some part in strengthening this precious thing that remained? Here in the U. S. we are so blessed and privileged to have free access to God’s Word, and liberty to speak about our beliefs and worship the Lord as we desire. Over the centuries and even today, this has not been the case in many places throughout the world. 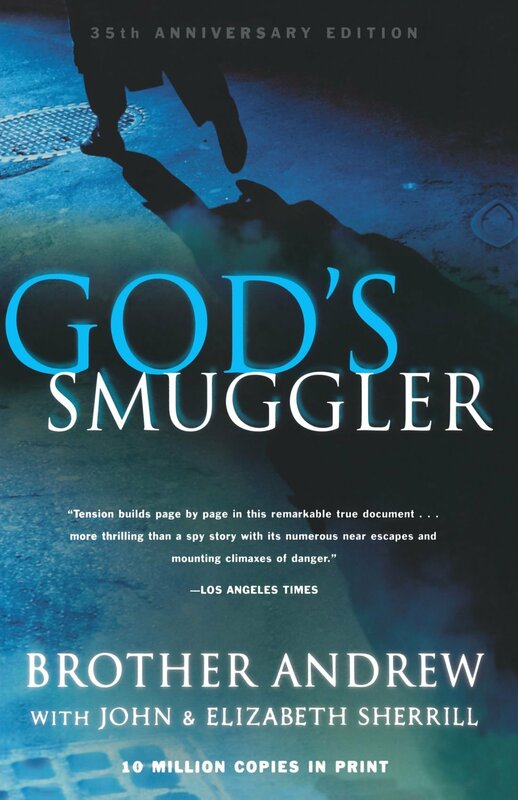 Brother Andrew’s story, as told in the book God’s Smuggler, gives us an idea of the oppression suffered by Christians living behind the Iron Curtain, specifically during the 1950’s and 60’s. It was 1987, the year after my husband and I were married, that we took a trip to Macau to spend a couple weeks working with a missionary family that we knew there. One day the plan was to go on foot through the border into China, accompanied by Mrs. A. While we were tourists there to see the local sites, we also had an ulterior purpose for going there –to deliver Bibles and other Christian literature to waiting recipients. Yes, for one day my husband and I were Bible smugglers, and not only that, but we were caught! Our companion had gone alone ahead of us and thankfully was not detained. However, the border guards randomly selected our packs to inspect, and when the Chinese books and pamphlets were found, we were interrogated about why we had them and who they were for. Fortunately we had been prepared beforehand what to say (and not say) if this were to happen, and the materials were confiscated and returned to us later upon our return back to Macau. That experience gives me just a tiny appreciation of the exploits carried out by Brother Andrew, later nicknamed God’s Smuggler, over a period of decades. Andrew Van der Bijl was born in 1928 in Holland, one of six children. His parents were poor but faithful Protestants, but young Andy found church to be boring, and he would often “played hookie” and snuck out during the service. Andy was an active, mischievous boy who was always scheming something or pulling pranks on siblings and neighbors. His speed, stealth, and plotting served a purpose when the Nazis invaded and occupied Holland, who surrendered to Germany in 1940. The Van der Bijl family was involved in resistance activities, like hiding Jews, helping young men escape enlistment by the German soldiers, and sabotaging their vehicles. Andy’s daring and desire for action and adventure led him to join the Dutch Army at age 18. When his mother sent him off with her Bible, asking him to read it, he simply buried it in the bottom of his duffel bag. Andrew tells how, after living wildly and recklessly while in the army, God providentially used certain circumstances and people in his life to eventually draw Andrew to Himself. This included an injury that resulted in his discharge from the army at the age of 22. At this time, Andrew picked up his mother’s Bible and started reading it seriously, which soon led to faithful attendance to church and a commitment to follow God. Before long, Andrew became involved in evangelism and God placed in him a desire to attend Bible school for training as a missionary. At this point, many of his decisions and the direction in which his life went was a result of Andrew “testing doors” and taking steps of faith. He was a main of prayer. He was determined to put into practice his trust in God to supply his needs and to show him where He wanted Andrew to serve Him. God remained faithful in providing for Andrew’s basic needs, sometimes just in the nick of time, and later protected him and his companions in amazing ways. In 1955, Andrew impulsively decided to go to Poland under the pretense of attending a Communist youth festival. 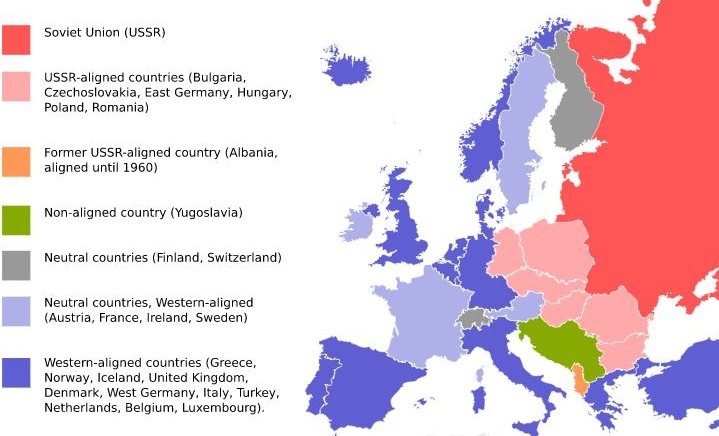 By way of a brief history lesson to provide context, after World War II ended in 1945, Nazi Germany was divided into four administrative zones and assigned to the Allied nations, the eastern zone falling to the Soviet Union. A few years later, the other three zones were united to form West Germany. As a result of his Poland trip, Andrew concluded what it was that God wanted him to do. The visit to Poland was followed shortly after by a trip into Czechoslovakia, where he saw firsthand the limited availability of Bibles and how strict the government restrictions were on Christian churches. This became his passion and life work – to penetrate the land behind the Iron Curtain with the Word of God. Andrew began first with visiting the outer, and then the inner countries that were experiencing religious persecution by atheist Communist governments. Next came a trip into Yugoslavia (also Communistic but independent of the Eastern Bloc alliance), then Bulgaria and Rumania, known as the two countries experiencing the most intense persecution. His goals were to meet Christians in order to learn more about the condition of the churches and discover what their needs were, and to bring them Bibles and other literature. Lord, in my luggage I have Scripture I want to take to your children. When you were on earth, You made blind eyes see. Now, I pray, make seeing eyes blind. Do not let the guards see those things You do not want them to see. It wasn’t as though I had a trick or system for getting across these borders again and again, which I could pass on to others to insure their safety too. It was no cleverness of experience of mine that had prevented disaster so far, only the fact that every morning of every trip I consciously placed myself in God’s hands and tried, in so far as possible, not to take a step outside His will. But these are not actions that one person can take for another. He was convinced that just as God had been faithful to provide his material needs, He would provide the people to help at His calling, not Andrew’s. After numerous repeat visits to Eastern European countries and Russia, Andrew got the idea, and God provided the funds, for pocket-sized Bibles to be printed in Russian so he could easily smuggle much larger quantities. In 1965, “Brother Andrew” as he had now come to be called, went to Communist China and Cuba accompanied by others. In China, he was surprised to find that Bibles were plentiful, but the government seemed unthreatened by their availability because there was such a lack of interest in them. He observed that, “Persecution is an enemy the Church as met and mastered many times. Indifference could prove to be a far more dangerous foe.” The attitude of the people of China was so nationalistically loyal and anti-Western, that they had no interest in Christianity; the government had instilled such a sense of self-sufficiency that saw no need for religion. Brother Andrew realized that it would take Chinese Christians to bring the gospel to the people of China. Life in Cuba in 1965 was not easy. But perhaps God had had His reason for putting them in this place at this time. Perhaps they were to be His arms and legs and His healing hands in this situation, without whom He would have no representative in this land…Here was a country wide open to Bibles, to religious books, and to literature of all kinds, and to visitors from all but a few countries. A country where the least spark of encouragement dropped into the generous and emotional Latin heart lit bonfires of love and consecration and self-sacrifice in response. The following year, two team members carried Christian literature into “the most tightly controlled Communist country of them all”, Albania; at the time, no Albanian Bibles were in existence. In each new country, different attitudes and challenges were faced with regard to talking about the Gospel and distributing literature. Andrew’s little organization began adding part-time, short-term partners along with the full-time members. His ministry was the springboard to what eventually grew to become Open Doors, a ministry which supports families of Christian martyrs, Christian refugees, pastors, and seminary students, as well as printing and delivering Bibles where they are most needed. As a result of the publication of God’s Smuggler in 1967, the following year his name was put on a blacklist of individuals forbidden to enter into Eastern European countries. The saying goes that when God closes one door, He opens another, and such was the case here. At this time, Brother Andrew’s attention turned towards Muslims, and Open Doors began reaching into countries suffering under Islamic oppression. The story of Brother Andrew’s ministry to the Middle East is told in his book Light Force , published in 2005. Not all of the change is good. Where there is a loosening of restrictions here, there is usually a tightening there…But God is never defeated. Though He may be opposed, attacked, resisted, still the ultimate outcome can never be in doubt. Since the 1970’s Open Doors has been monitoring the persecution of believers around the world and has developed a system for gathering information and ranking nations undergoing persecution, resulting in what they refer to as a “World Watch List.” Today there are 100 million Christians in over 60 countries that are undergoing some form of oppression or persecution for their faith. From Eastern Europe and Russia, to China and Cuba, to Syria, Pakistan, Iraq and Iran, to Sudan and Libya, to North Korea – there have always been and will continue to be Christians called upon to suffer for the name of Christ. Was there ever a time in your life when you took a risk for the sake of Christ and His gospel? This entry was posted in Christian Books, History & Biography, Missions and tagged Brother Andrew, Eastern Bloc, God's Smuggler, Iron curtain, Missions, Open Doors. Bookmark the permalink.